Day-to-day Teacher Assistant substitute positions available immediately for Special needs children during 2018/2019 school year. The teacher’s assistant will be responsible for assisting the teacher in the overall operation of the class. In some cases lifting is required. Lackawanna, Wayne, and Susquehanna Counties. Day-to-day Substitute Teacher positions available immediately for special needs children during 2018/2019 school year. Valid Pennsylvania Certificate or Bachelors degree required. Lackawanna, Wayne, and Susquehanna counties. 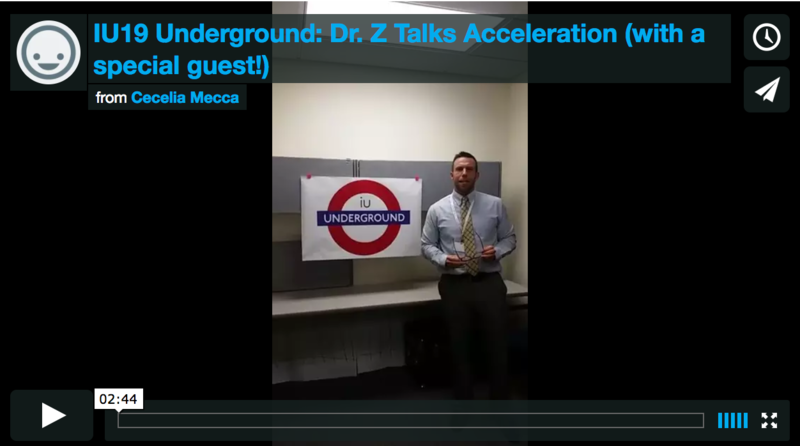 Check out the IU19 Underground channel on Vimeo and make sure not to miss an episode. Comment with your educationally focused question and, of course, you’re always welcome to visit us live on Facebook. 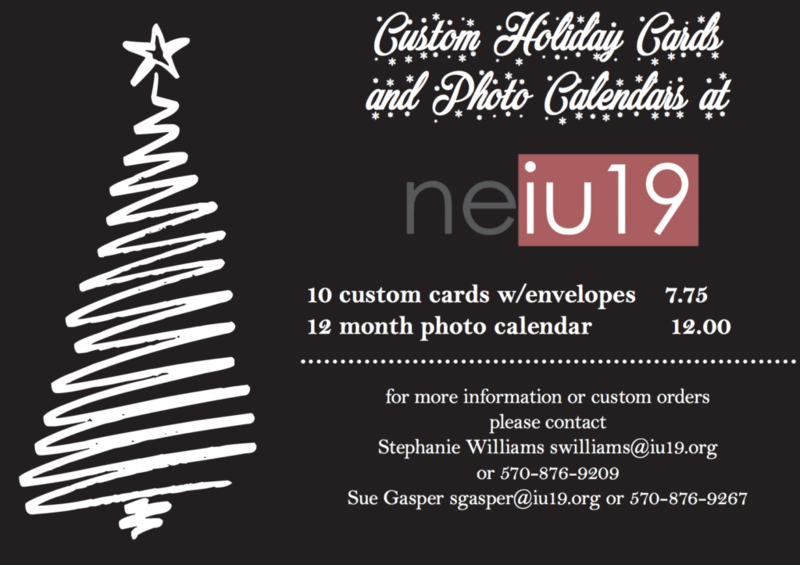 The NEIU Print Shop is now taking orders for custom holiday cards and calendars. I just placed my order…ahead of the game this year! At these prices there’s no need to shop around since I love giving photo calendars for gifts. 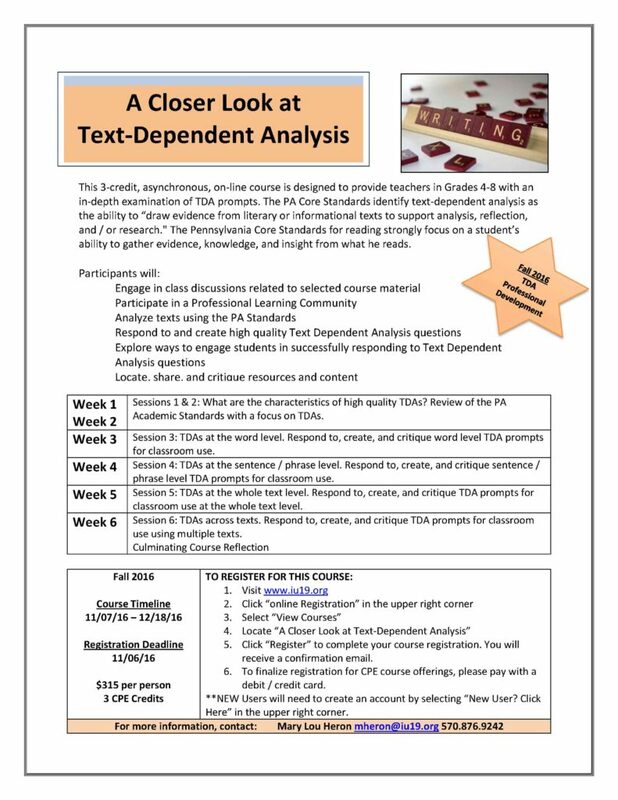 If you support students on the ELA PSSA and are looking for additional strategies for tackling TDA (19% of the ELA assessment) we have the course for you! 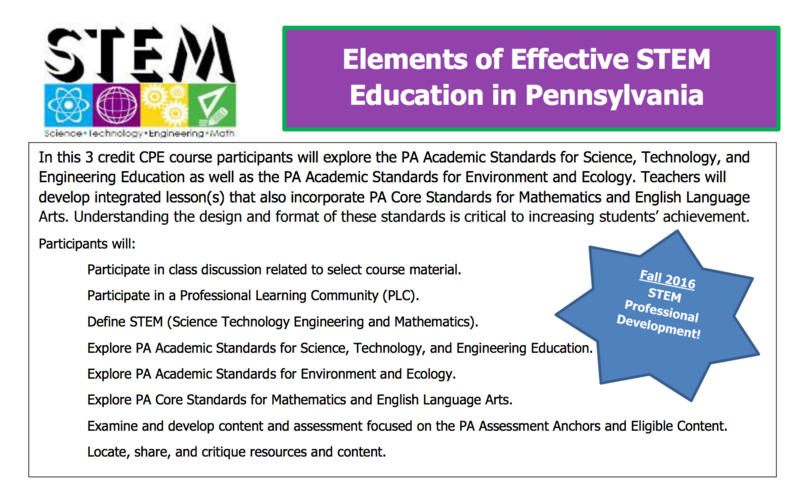 A CPE course offered by our resident science expert, Doug Womelsdorf, begins next week. 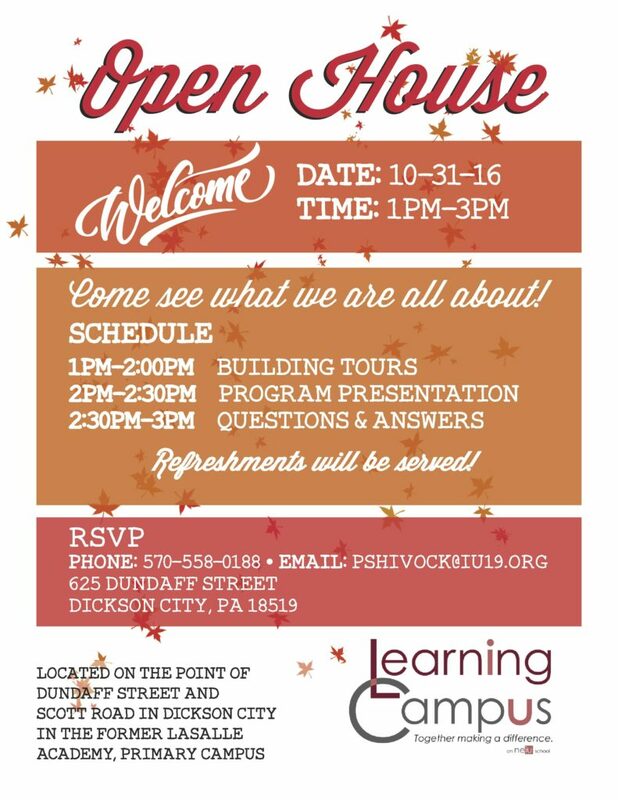 Click on the flyer below for additional information. Yesterday I had the opportunity to visit NEIU Learning Campus. It was a delight to witness such enthusiasm from amazing teachers like Miss Lindsey, and now everyone is welcome to check out what the Learning Campus is all about. Stop by next Monday, details below. Hope to see you there! Detailed information including dates and cost can be found on the flyers above. 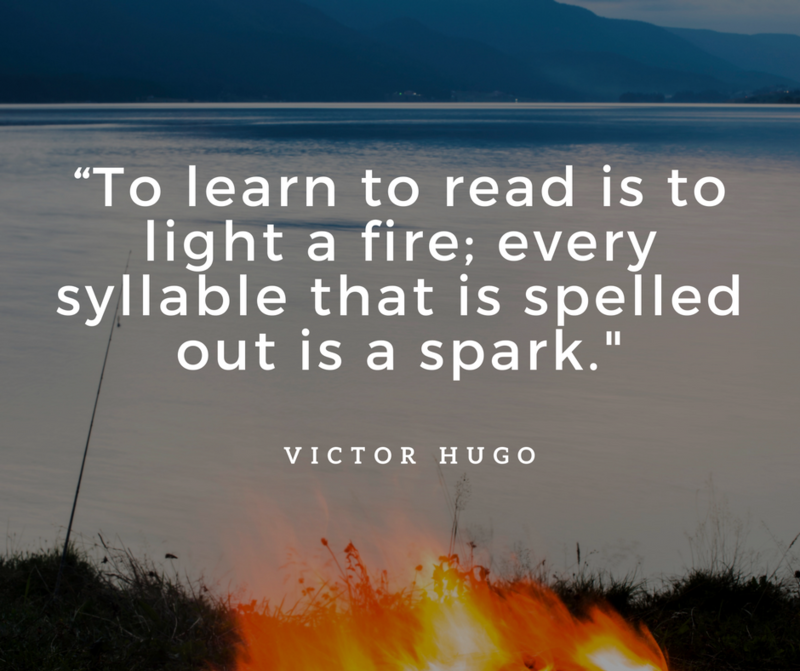 The goal for is to enhance the work of reading/literacy leaders and reading specialists. 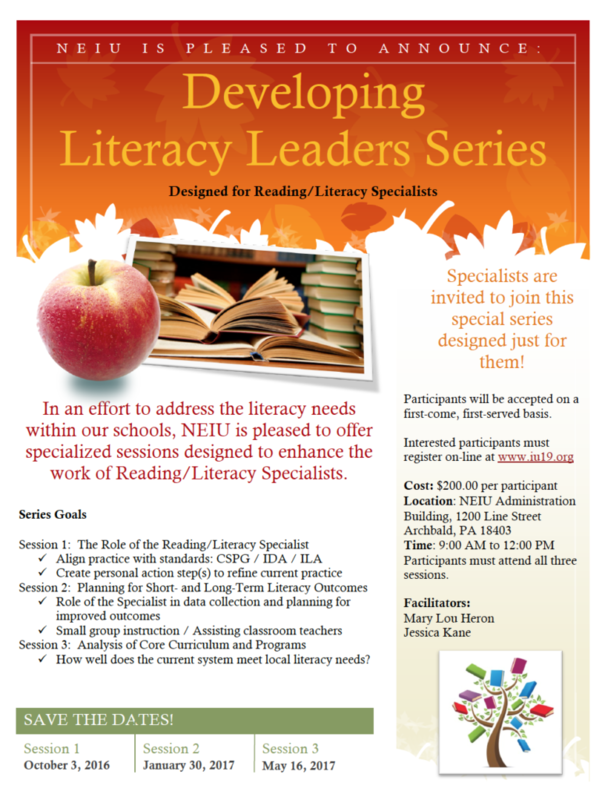 To register, log into the IU19 registration portal and search for your desired literacy series. If you have questions about either training, please contact Mary Lou Heron. 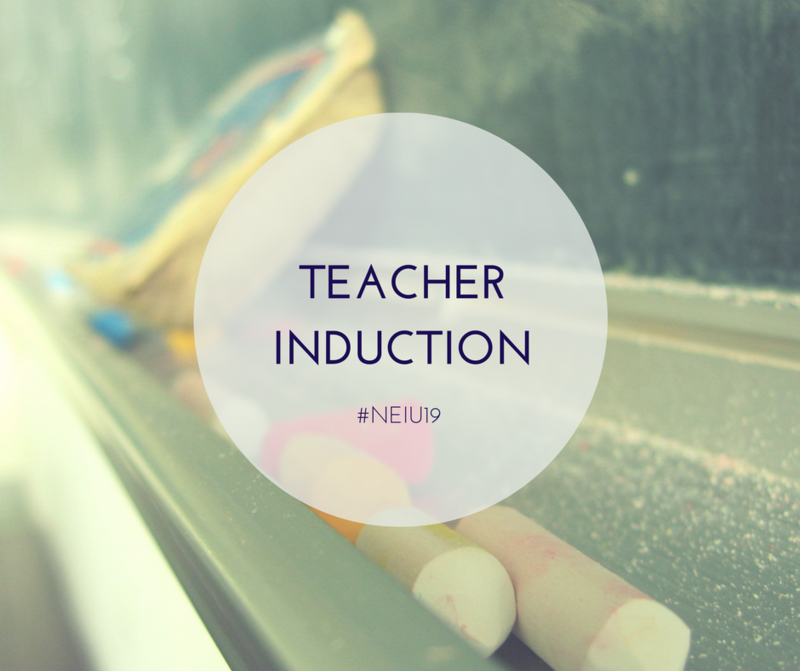 NEIU will be offering a Teacher Induction program for the 2016-2017 school year beginning September 20th. 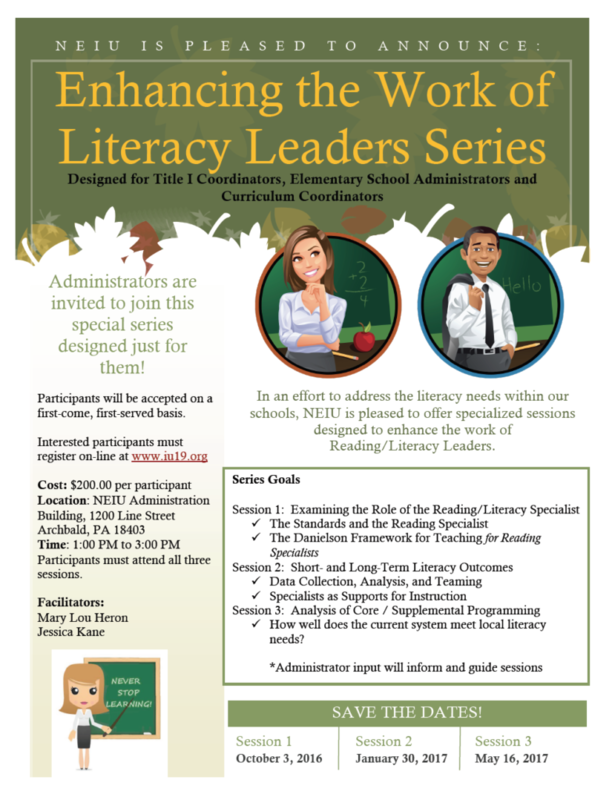 Through this program, professionals will learn about our organization, the services we provide, and the future opportunities in education through our intermediate unit. Our face to face session will be delivered by NEIU staff, and the online component delivered through EduPlanet 21. Professionals operating on a temporary Level I certificate in Pennsylvania are required to complete an induction program in order to convert their initial certificate into a permanent Level II certificate. This series will satisfy that requirement. Get additional information about our teacher Induction program. Professionals are required to attend the face to face session on September 20, 2016 and complete an online learning module in order to receive credit for induction as part of the state certification requirement. 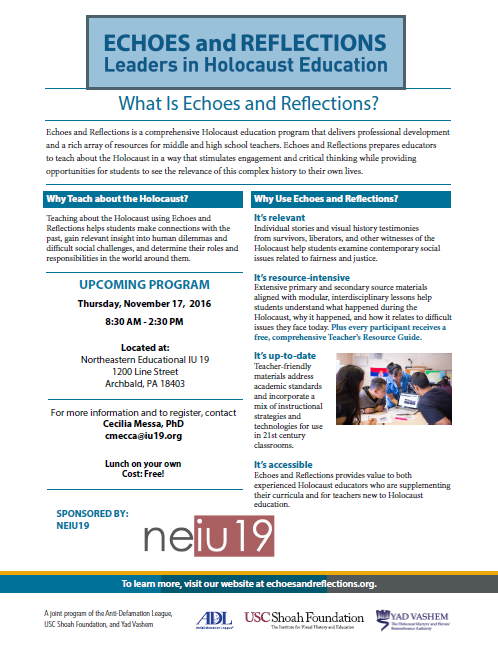 To register for the Teacher Induction Series, please visit the NEIU website atwww.iu19.org or contact dwomelsdorf@iu19.org for more information.